Not only do bicycles cut travel time in half, but they also empower a student, pastor, or small business owner to expand their ministry, attend classes, or transport produce to sell. 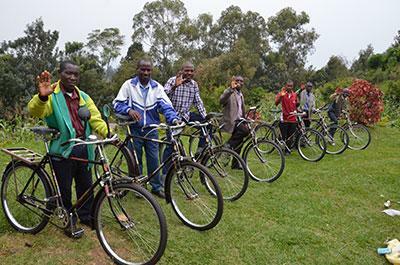 Bicycles are a valuable resource—offering mobility, independence, and opportunity. “My life in the local church was very hard as I had to walk two hours for church services. But now, with my new bicycle as a means of transportation, [it is] very quick to travel . . . for this great blessing, I do praise my Lord,” said a local pastor in Rwanda.